Dimensions: m. 1,75 x 1,4 x h 2,5. 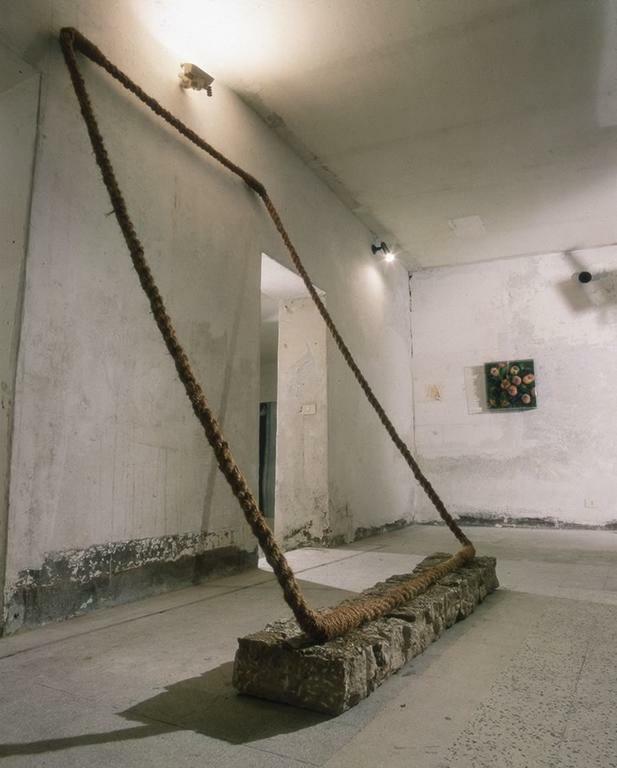 By using a wall that had an openings only on its two ends, Maria Dompè built, in this Roman gallery that was undergoing alterations, her Varco, a mental passage that contrasts with the real passages leading to other rooms of the exhibition space. 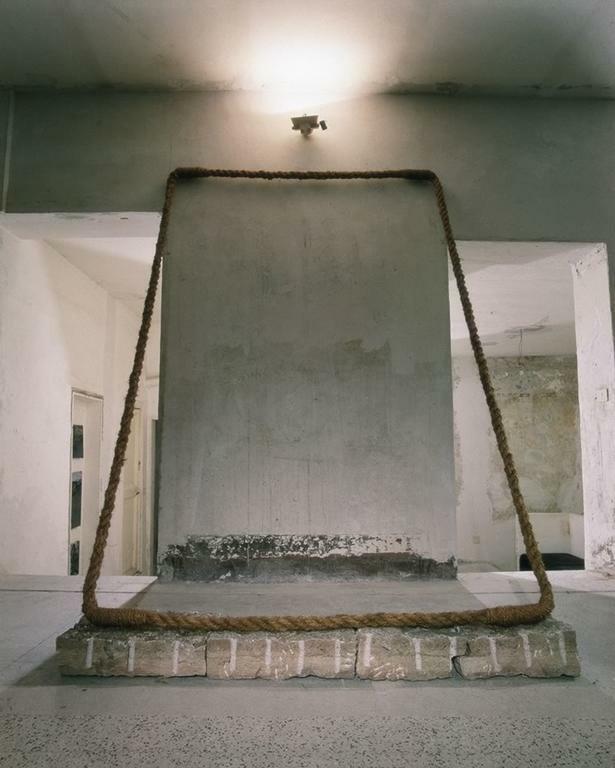 The rope again takes on the task of limiting: in this case to exclude all that is outside of the imaginary opening that rises from the low step of the travertine blocks, obliquely, up to the wall behind. The wall on the other side is striking due to its neglected aspect, the visible signs of previous layers of paint, and traces of work never brought to conclusion. The oblique passage, simple and austere in both construction and in choice of materials, seems to contradict the idea of Varco or passage with the closing of the wall, and it is just this that results modified and qualified in both an aesthetic and spatial sense by the immaterial boundaries of the work.